Longboarding is an amazing and really accessible sport – the skater’s age, size or gender are of absolutely no importance, so long as they pick the right board for themselves. Even though some people still have prejudices against girl skaters, that way of thinking has no place in the longboarding world. There are plenty of simply amazing girls out there, who shred the streets just as hard as the guys. The numbers of professional female skaters are also increasing rapidly, proving that there is nothing that the ladies can’t do! At the same time, the market has been expanding by manufacturing some great longboards for girls. Girls can certainly ride all the longboards that guys can, but sometimes it is just not necessary, as manufacturers have designed amazing, super high-quality boards that are suited especially for girls. We are not talking about pink wheels and decks with unicorns on them – just some specifications that make riding these specific boards more comfortable and thus help females achieve greatness in every sessions. Using a longboard that is not suitable to the skater’s weight and size, no matter what the gender, guarantees one result – poor skating and inability to reach new heights. As many girls are smaller and lighter than guys, it is usually more comfortable to use lighter, more compact boards. A board that is too heavy will be difficult to maneuver and the end result will look stubby and hacked. A board that is very heavy or large for the skater will also be difficult to control, which does not only mean unfruitful sessions, but can also prove to be dangerous, especially when speeding down steep hills, trying to slide or dealing with rough terrain. No one wants a board that will be more of a burden than a pleasure, and a longboard that is not fitted to the skater’s specific body type will have exactly that negative result. 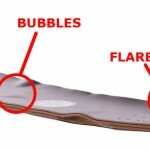 Other aspects of a good longboard that girls should be aware of are the durability and maintenance. Usually female skaters tend to prefer board that combine two essential, super helpful qualities- sturdiness and lightweight. We already discussed the aspect of the weight, but why the sturdiness? Unless a skater has a burning desire to dump cash on a new longboard every month or so, their gear should be of high quality. 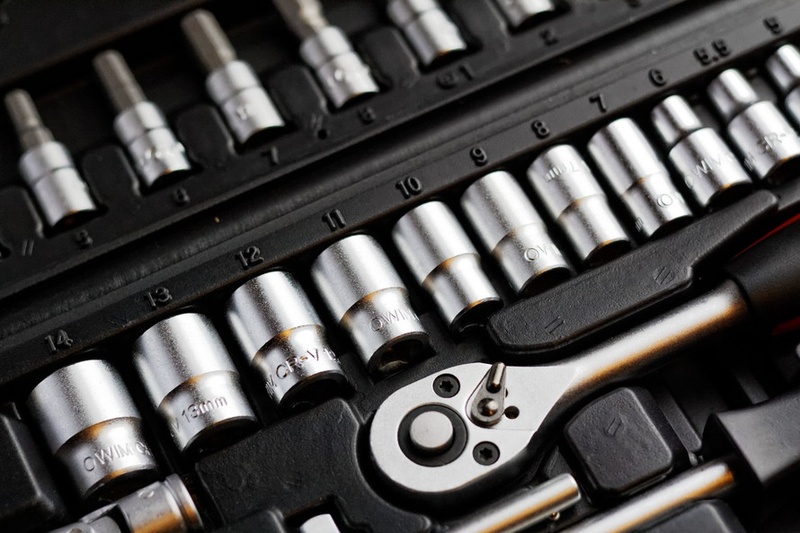 These type of products are usually far more durable, which means that they will last longer and, even if their price is higher, will pay for themselves in amazing sessions. Easy, low-maintenance is also something to look for – boards that are difficult to fix will only take time away from riding and will be frustrating. Among all the abundance in longboards out there, deciding which board to choose from might sometimes be a challenging thing to do. As was already mentioned above, girls can use any board they like, but still there are some that are more comfortable. Every skater prefers to actually ride his or her longboard, rather than spend countless hours picking it. 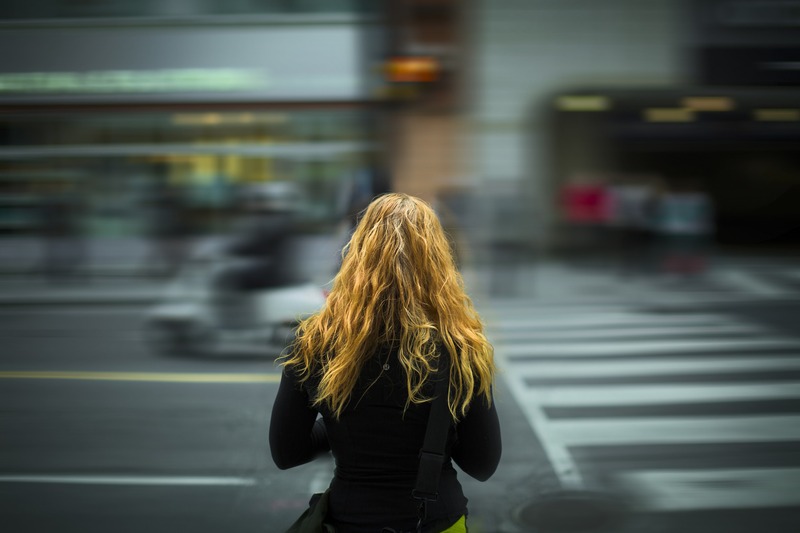 To make the choice easier and save time, we have designed the following guide of awesome longboards perfectly suited to ladies. The Solstice collection is curated by the women of Arbor Collective , it’s the brands first line of boards specifically designed for women. Its balance is nothing less than supreme, and the ultra-flex makes it very stable, so skaters never have to worry about losing control over the board and getting injured, even in the toughest of terrain and while performing the most difficult tricks. A portion of all Solstice Collection sales benefit Boarding for Breast Cancer. The Arbor Fish 37 Solstice is also super lightweight, constructed out of 7 ply maple and Premium Palisander Wood laminated to the top. Every girl skater who appreciates skills and control will simply love this longboard. Dusters Wake Rasta: A longboard made for cruising and feeling more than amazing. This longboard can do anything from leisurely strolls, to high speeds and conquering big hills. It is a preassembled, ready to ride with no fussing, 7 ply maple greatness. It is not very big – 34 inches to be specific, which makes it very comfortable and easy to control, especially with the drop-through deck. And, let’s face it, it also looks pretty great! 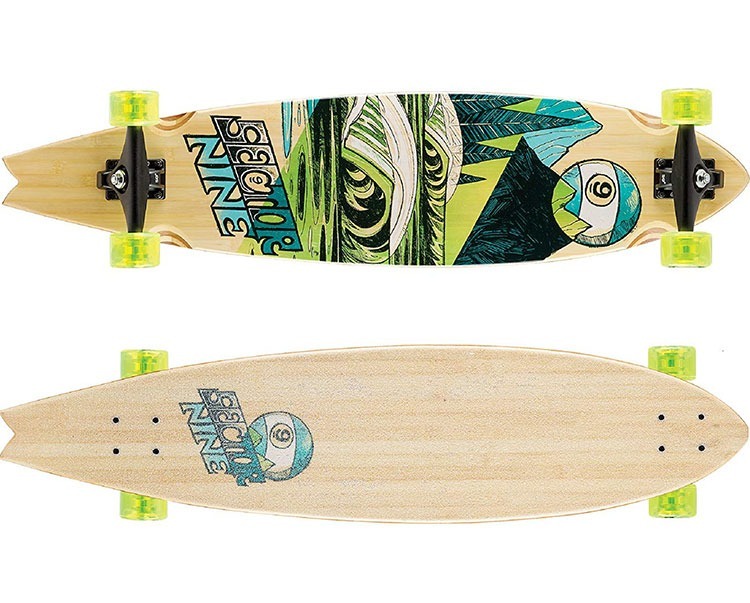 Sector 9 Offshore Longboard: The ultimate piece for a leisurely cruise or aggressive hill-bombing. This board is easy to push, maintains speed, doesn’t slide out, and goes the distance, making it great for riding to work and shredding the streets. The Peru Longboard is not a small piece of gear, with its 40 inches, but that size is exactly what makes it so versatile. As it is a bit on the heavy side, it is ideal for cruising down the street on a beautiful day, when you just want to feel the wind in your hair, relax and not worry about anything. However, it can also be crazy fast down a hill, so long as the skater that is riding it is careful to control it well. Loaded Dervish Sama: Loaded Longboards are pretty much the finest there is out there and, luckily, they also make boards that are ideal for girls. In the case of this one, it is lightweight, with great flex options and is super easy to maneuver, despite its 42.8 inches. This board was designed especially for fun-loving skaters who want their ride to be tailored to their specific needs and know a good piece when they see it. 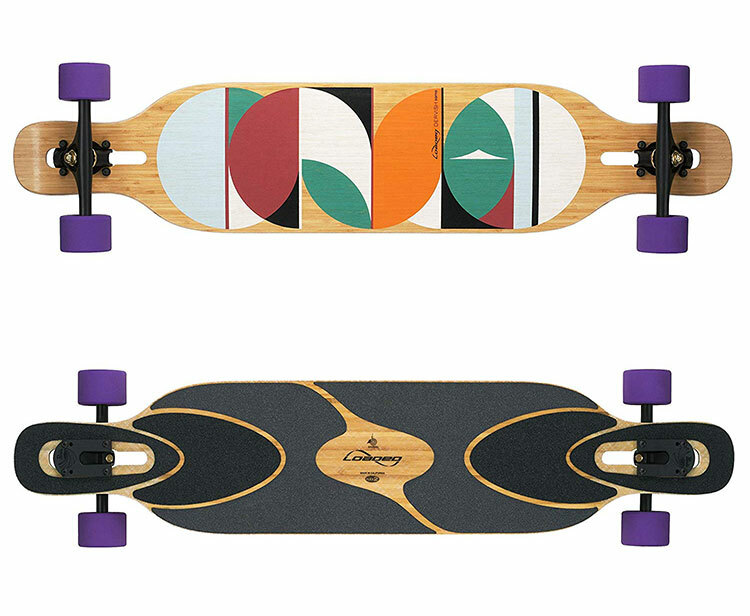 The Dervish has a low center of gravity, which makes it as stable as they come and also features a drop-through deck. 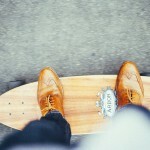 Another amazing aspect of this longboard is that it is built to maximize energy return. Girls can do just as many amazing thing with a longboard as guys can, but there is one important condition – the board has to be suitable for the skater’s body, preferences and style. 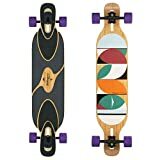 Picking one of the options of longboards for girls listed above will definitely not disappoint, in fact – it will prove to deliver some really good times.